PAC - international high quality premium cosmetic brand which fits perfectly with Asian skin, with limitless various choices which gives professional make-up creations more room for imagination. PAC has bold and expressive complete colors which are suitable for edgy, fashionable and adventurous personality. 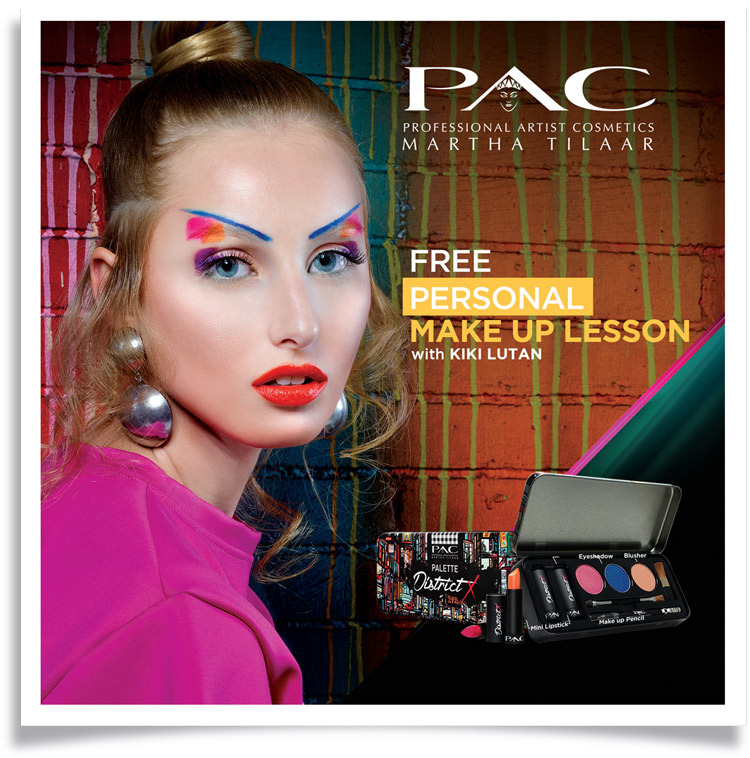 Initially created by Martha Tilaar to fulfill the needs of high quality stage artistic look, PAC has now grown as one of makeup artists and celebrities choices, and it is supported by strong professional community. Get your stunning look with the help of professional Make Up artist Kiki Lutan now! Central Department Store Grand Indonesia, 2nd Fl. or visit PAC counter at Beauty Galerie Ground Fl. *Valid only for transaction during make up lesson event.